This beautiful Madelyn brass heart is adorned with a sterling silver rosette surrounding the stanhope lens. 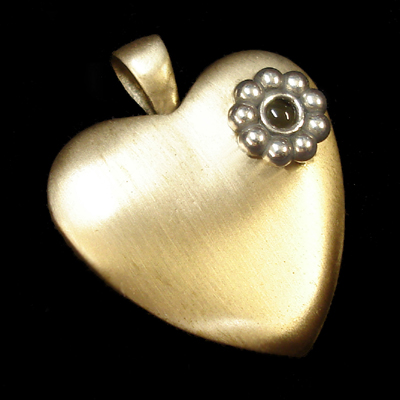 This heart pendant is also an opening vessel that can be used to contain keepsakes. It can be used to hold a lock of loved ones hair or a portion of cremains. A peep inside the lens reveals a crystal clear and legible image. 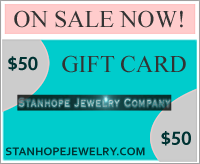 Personalize your pendant with a custom image of your loved one or any favorite photo. There are also many spiritual images to choose from including Jesus, The Holy Family, Ten Commandments, Psalm 23, L'Ascension, The Lord's Prayer in English, Spanish and quite a few others. Hold your loved one near with a unique Madelyn keepsake pendant.